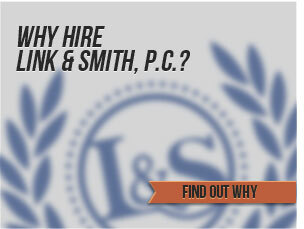 Link & Smith P.C. 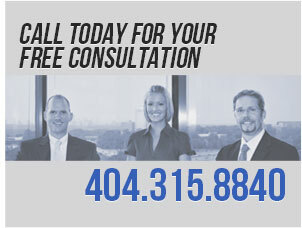 is a personal injury law firm located in Tucker, Georgia just minutes from downtown Atlanta. We specialize in car accidents, motorcycle accidents, tractor trailer accidents, catastrophic personal injury cases and more. We are different than most law firms in that we sit face-to-face with our clients, and not just send them off to the support staff. $40,000,000 verdict –Automobile Liability/Dram Shop– verdict for victim of an auto accident which resulted in the death of two people after being served alcohol improperly by bar. $11,070,000 verdict –Tractor Trailer Negligence– recovery for personal injuries suffered by a man who sustained traumatic brain injuries in an auto accident at an intersection with a tractor trailer. $10,000,000 verdict –Automobile Liability– for a Gainesville resident motorcyclist hit by a car near Lake Lanier. $6.4 million verdict– $6.4 million verdict won in the case against the rapper, Shawntae Harris (famously known as Da Brat) after she was accused of assault. $3,375,000 verdict –Bus Crash– for multiple injuries sustained after being struck by a school bus. $3,000,000 – Municipal Liability/School – mediated settlement for a minor who suffered neck injuries resulting in quadriplegia based on a non-sanctioned wrestling event on school grounds. $2,375,000 – Wrongful Death/Tractor Trailer Negligence – settlement in Northern District Federal Court after entry of the consolidated pretrial order for a wrongful death caused by a tractor trailer driver who negligently rear-ended the vehicle in front of him on an interstate in Atlanta. $2,000,000 – Commercial Vehicle – settlement for client who sustained closed head traumatic brain injury (TBI) caused by a collision with a flat bed tow truck in Metro Atlanta. $1,500,000 – Automobile Liability – settlement after picking the jury in South Carolina federal court for client who suffered pelvic crush injuries while working in a DOT work zone. $1,485,000 – Automobile Liability – policy limits settlement for college student in Arizona who who sustained closed head traumatic brain injury (TBI) and other physical impairments after being ejected from a vehicle that veered off of the roadway. $1,250,000 – Hotel Fire/Premises Liability – settlement at mediation for widow of deceased husband on account of his death in a hotel fire that had inadequate fire warning systems. $1,200,000 – Products Liability / Automobile Liability – settlement following mediation for roll-over of SUV resulting in the wrongful death of a mother and her child. $995,000 – Motorcycle Accident – settlement for our client who was a motorcyclist hit by a vehicle that failed to yield (FTY) the right of way while turning from a private drive. 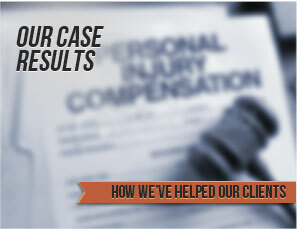 Our client’s injuries included a fractured leg and blunt force trauma to the torso. $825,000 – Commercial Carrier Liability – our client was riding in a MARTA bus for patrons in wheelchairs. The MARTA driver negligently failed to secure our client’s wheelchair in violation of MARTA standard procedures ,and subsequently stopped suddenly causing our client to tip over and injure her eye. 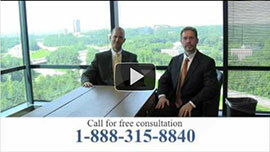 Our client ultimately lost vision in one eye, and the case settled at mediation. $800,000 — Automobile Negligence – settlement after a second mediation for a 58 year old factory worker who needed a total knee replacement (TKR) following a head on collision. $750,000 – DUI/ Automobile Liability – mediated settlement for our client who broke his leg and for punitive damages against the negligent driver. $600,000 — Tractor Trailer Liability — settlement for our client who suffered a broken leg caused by the negligent driver for a large overnight delivery company. In addition to these record results, see our case results page here for more cases. We’ve fought for our clients, won, and been able to give clients the justice they deserve!